Last year at this time of year, I dreamed of being invited to New York Fashion Week to blog about the Styles. 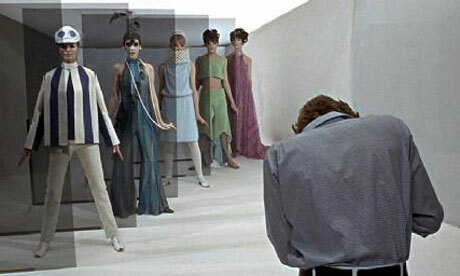 This year, of course I still want to dream of going there for Fashion Week. Although, since I’ve learned so much over the last year digitally, I was very close to being there without actually being there. I was able to watch the Marc by Jacobs Runway show live on my iPhone and capture photos as if I was there. Best parts about this, is I didn’t need to wear a warm coat or battle it out with all the other bloggers for a good camera shot. Thank You Marc Jacobs for playing the Fashion Show Live, I had a great time watching the show, listening to the music and taking pictures of all the colorful new clothes. Look at all the People with cameras!!! Sooo many people with cameras. WOW! The Gallery you’re about to see is all the Pre Show hype. See the girls looking at their phones? Some people socializing and probably the best two pictures-Marc Jacobs himself! in the crowd talking to the fans and the press. I had a pretty nice vantage point to get him in the pre show pictorial-Sweet! It was pretty interesting to watch what happens at a NY Fashion Week show prior to the Show. As you noticed, some people socialized, others checked out their phones, and I did notice some nice black bags that were probably filled with some nice Swag. Next up will be a TON of pictures of the actual Fashion Show. The Show goes from start to finish. I took a lot of nice pictures of the new bags, tried to get some nice shoe shots and of course nabbed a bunch of the stylish colorful new out fits for F/W 2014. Some stripes, some plaids, some bright colors, some daring handkerchiefs over the mouth, and I do notice a bit of a “Divergent” vibe with the pigtails and look of the un smiling models. Very interesting. I also notice a lot of grey..maybe getting ready for the Big movie “Fifty Shades of Grey?” I hope you enjoy the Show, it took me a pretty long time to put it together. A lot of uploading and downloading. I’m sure there must be an easier way to do it, maybe by the next Fashion Week, I’ll figure it out. For now, ENJOY the show! The next portion we will see some more color and the handkerchiefs I mentioned earlier, along with some more scowling youthful faces and some more pigtails. Once Again, bringing us that post apocalyptic look of oppression, style, money and women’s power. I hope you enjoy Part Two of the Marc by Marc Jacobs F/W 2014 Runway Fashion show. Personally I liked part two the best. The fierce looks, The Hunger Games vs Divergent theme, the red pigtails, the fantastic colors along with more shades of grey. Here we see the full line-up of the designs, the designers and finally a few pictures of how very quickly everyone gets up to go. Me personally, I would probably sit and savor the moment. But, maybe everyone is on their way to the next show? Here’s the finale. Red is the new Black or is it Grey?? You can purchase Marc by Marc Jacobs clothes, shoes, and accessories here. And my parting shot, is one of my favorite pairs of Kicks that I own. 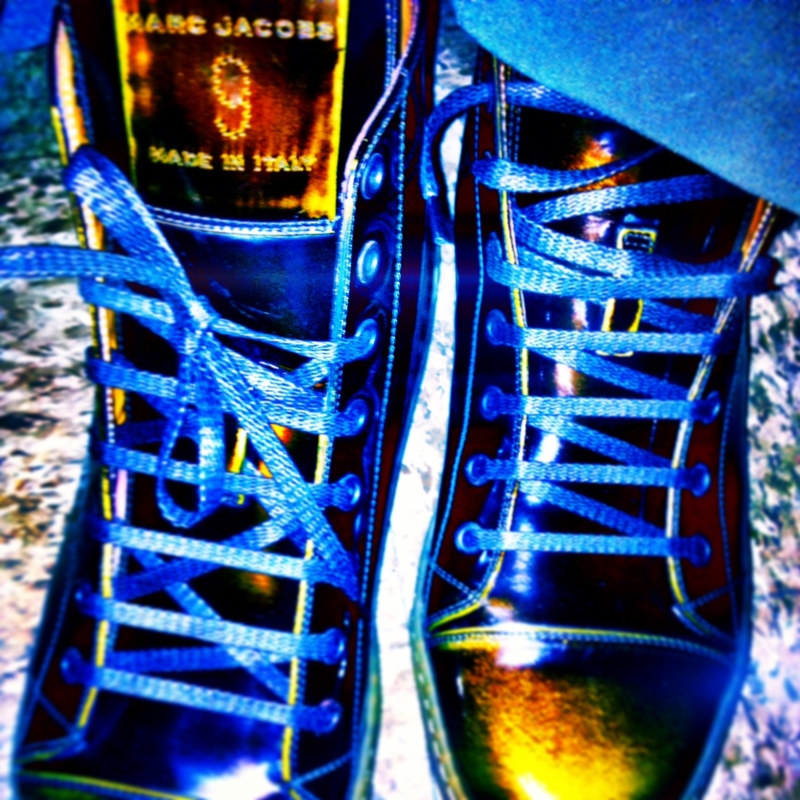 Marc Jacobs Brown/Gold Patent Leather kicks from 2013. What did you think of the show? What would you like to wear? What kind of vibe did this show give you? Let us know in the comments section. 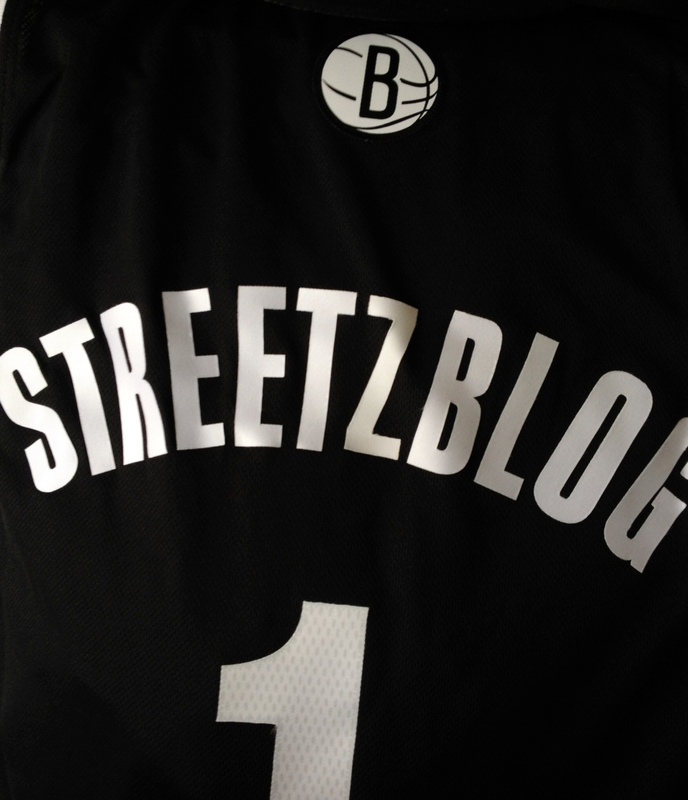 See you on the Streetz. @The Maison Bentley Blog Paaardy! It’s about Midnight here in Honolulu on Sunday October 27th 2013 and I’m presently in London via the internet at the Maison Bentley Blog Paaardy! I stopped by the party earlier today, but when I saw the fancy yacht that the party is being held on I had to run back home to change out of my T-shirt, Shorts and Flip-Flops or as we call them in Hawaii-Slippers. I Changed into my newest kicks from Marc Jacobs, a Tommy Bahama shirt to match them, my Harajuku T shirt to wear underneath, my Dolce & Gabbana plaid pants from Barney’s NYC and my streetzblog x CityStars Snapback. I want to get back to the party quickly, thus I have everything I’m wearing in the capsule collection as seen above. (It’s much quicker to upload a capsule collection then one by one) Oh, and since it is past Midnight here, the Drink Departments are closed, Thus my bevie of choice for the evening is the Bob Marley Mellow Mood Sweet Tea as also seen above. Thanks again to the Maison Bentley Style Blog for having this wonderful party. What a fun and Exciting idea. Cheers and Aloha from Makiki, Hawaii to London, England and to everyone else from around the World. Where’s the missing WWPRD Song? I was able to watch this show LIVE on my iPhone. That’s probably my most favorite thing to do during Fashion weeks in NYC. The Good folks over at Marc Jacobs know me from somewhere or I signed up for their mailing list sometime. Either way, it’s so cool how I get to watch the shows LIVE just like Anna Wintour et Al. This Show was pretty good. I liked the 50’s inspired Khakis that had the 2013 Tapered at the ankle vibe to them. And sporty Chic is supposed to be the trend. So Good show. I couldn’t go back to wearing a Satin Jacket, I had one of these in Royal Blue in the late 70’s early 80’s that I wore till it practically fell apart. On me now, I have no idea what vibe it would portray? Hipster-Chic? I kind of think not. Probably, Hey that guy hasn’t been shopping in a while vibe. But I bet the satin jackets will look good on Early to Mid 20’s female and male model types.Funny part about this show, is I really liked the song they played during it. It was called What would PR do? or WWPRD? At first I thought it was a PR tune, but couldn’t find it there, I did find a YouTube video of Jeffrey Lewis doing an acoustic type version of it. It doesn’t quite have the punch as the song they had on live during the fashion show. At least you can kind of feel a bit of the vibe of what was playing in the background of the video below. It sure is a hard tune to find (at least on 9/13/13). I suspect it was an exclusive for Marc. 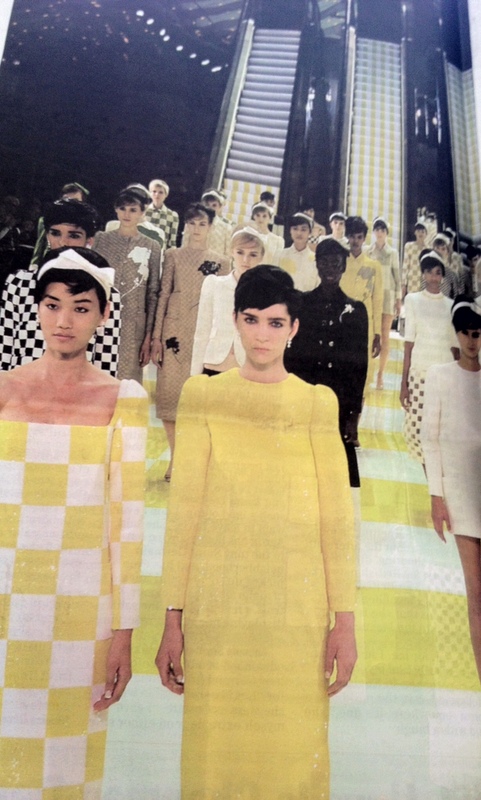 Here’s the Marc By Marc Jacobs S/S Fashion Show. Notice the music is missing. Check out Beatport to hear it! 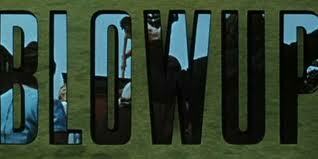 Here is the acoustic version of the song by Jeffrey Lewis. It is really missing the full punch and pizzaz of the song I heard, not as punk rock sounding either. But at least you can kind of feel the vibe on the video above with no sound and check out the words, they are pretty smack dab on Today’s feeling about being in the world in September 2013. Some phrases are a bit more negative then I tend to like, but others are very “in the moment” about all Jeffrey’s missing is all this mobile phone craziness going on. Now everyone in my building where I work are staring at their phones in the elevators. AND most of the phones don’t get service in the Elevators. Just more people being Anti-Social is what I call it! It’s not on SoundCloud, it’s not on iTunes, I did find it here at Rough Trade. I don’t know if the song is the full-fledged tune with the production values and full band or if it’s similar to the acoustic version. Update: Found it on Beatport and Yes, it is the song they played during the fashion show and you can listen to it or buy it here. Then watch the fashion show again and get the full affect of the Vibe of the show! If you know other places we can get the tune let us know in the comments section. Or if you were at the Marc by Marc Jacobs fashion show, Let us know what you thought of the tune or the clothes? See you on the Streetz of Waikiki September thru Mid December then NYC and Chicago in December. Before I go to sleep so I can wake up early to check out the Phillip Lim for Target collab in the morning, here’s the Marc Jacobs Fashion show that has all of the cool dark blues and black backdrop ambiance, and the models with the fun choppy hair. This Dark Blue and Black warehouse is how I would like my home to look, wouldn’t that be fun! If you were at this show let us know how it was in the comments section. This to me looks like a really well done show-almost like seeing a Play in Times Square, NYC. Tags: clothing, Fashion, Jeffrey Lewis, marc jacobs, style, Who sang the song during the Marc by Marc Jacobs fashion show?, WWPRD? This is good and bad, I misplaced both my Credit Card and my Debit card and my driver’s license lat Saturday night. Good of course because now I really can’t shop on Cyber Monday and bad of course because i wasted 2 hours tearing up my house and car Sunday night looking for the 3 cards. I’m sure they will all three show up sometime around 11P on Monday Night-just after Cyber-Monday is officially over. it’s ok, I’m still on a “no buying clothes and shoes with credit card ban until December 18 and a no buying kicks probation with any type of money or CC until the same date”. Here’s some of the Great Deals I spotted on my email and twitter feeds, IF I could buy today. Since it’s so early or so late at night right now 3:24AM, I’m not bothering with many links or pictures, I’m sure for one day and for such good deals you can just google them. Happy Cyber Monday Shopping! *Note: You may need to sign up for some of these newsletters and alerts yourself, or they just may work with the codes I listed. At least the info is all listed below and 4 for 40 percent off a little work is probably worth it! 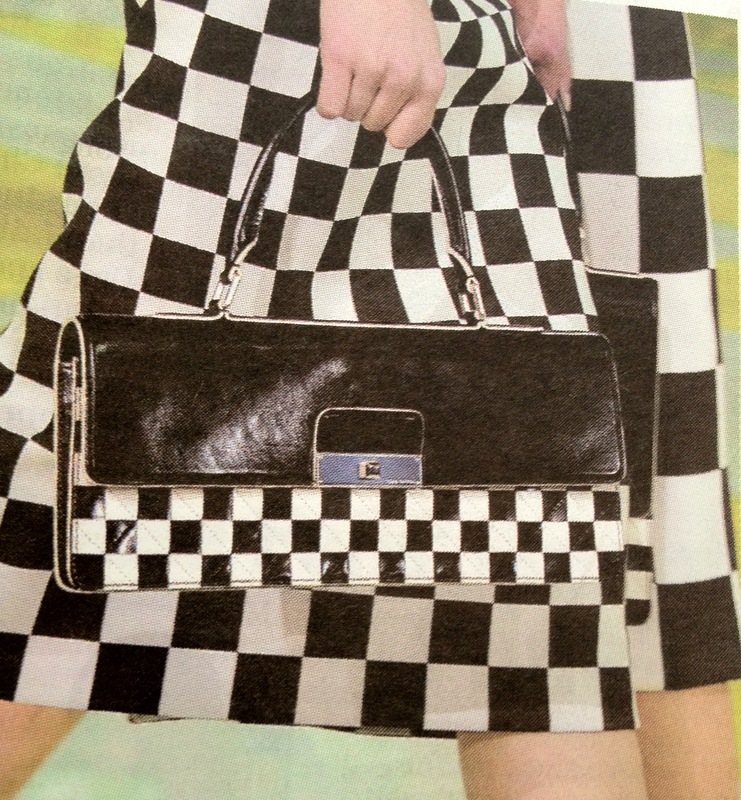 Barney’s: Has 11 pretty happening designers listed including Theory, Vince and Michael Kors. They say “shop the sale and get free 2 day shipping” (Email offer) I think its much more fun to shop in person at Barney’s, real similar to a Nordstrom shopping experience. Lots of great fun people to help you! *Marc Jacobs Update (4:36AM) They said to look for the full list of sale items at enote.mjn.tl/#112212 Hope this list helped a bit with your Cyber-Monday Shopping. 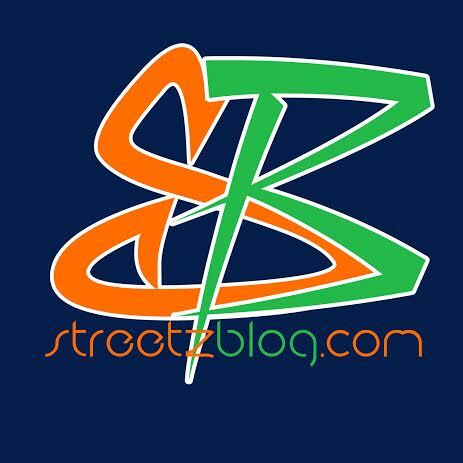 Let streetzblog know what you bought or if you find some cool deals for our readers. Just click in the comments section or email me at alohabros@gmail.com Or if you’ve got something great for me to write about for Cyber-Monday or the Holidays just text me at 808-479-9928. Have a great day! Hey and since I was having too much fun during Black Friday Weekend, I didn’t have a chance to write up the deals. But the best thing I saw was over at the Volcom store in Haleiwa. They had $23 Shirts with the Volcom logo and the Hawaiian Islands on them for 2 for $20. That’s 4 for $40 instead of 2 for $46!!! I bought 4. Perfect Christmas Gifts, LOL-I already gave 3 away and wore the other yesterday!. Anyways if you live on Oahu, I’d head over there or call them and see if the deal is still on. It was still on Saturday Afternoon and that was not Black Friday it was Saturday. OK, going back to sleep now, gotta’ work in the morning. Lates! 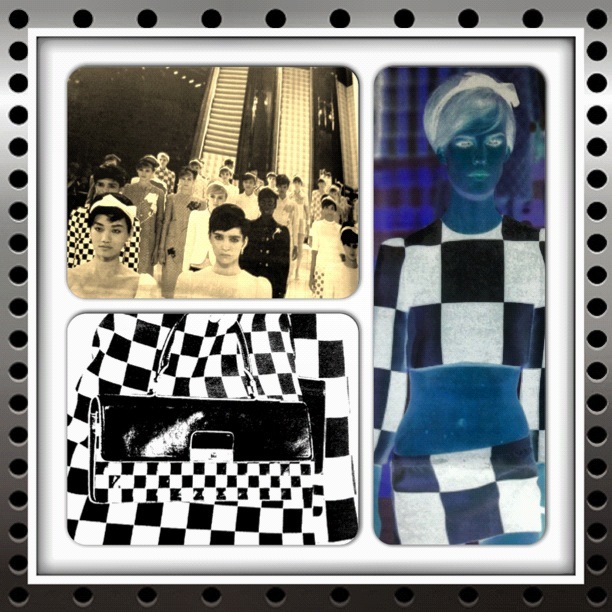 The Sixties Vibe Is Rockin’ The Runway in Paris! CHECK out the detailed Escalator and Flooring! Which Bag Shall I Choose Today? Special Thanks to: WWD, Marc Jacobs, Louis Vuitton and the Paris Runway shows!